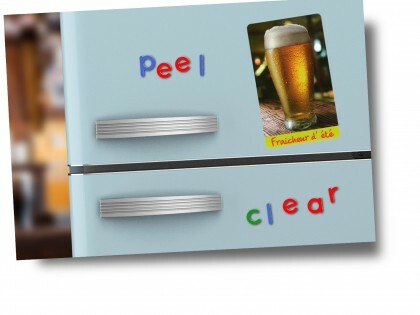 Find out how to boost your promotion and communication campaigns with our new range of Peel & Clear® products. 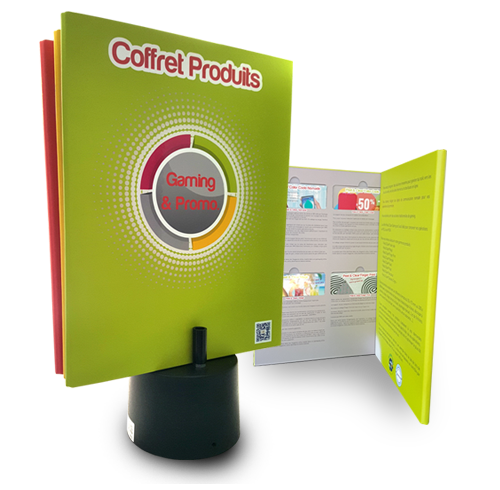 Our patented process is based on the possibility of printing hard copies (flyers, inserts, pamphlets…) on both sides with a removable seal. 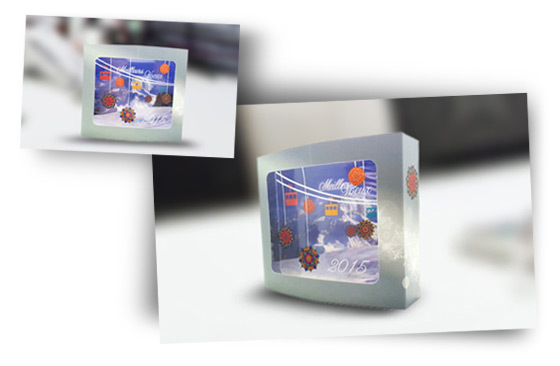 One of the sides of the medium is a printable film that masks the front of the removable seal which becomes visible once it has been removed. 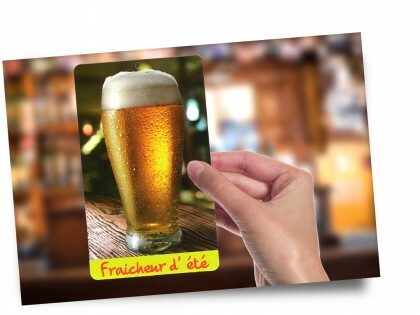 From our Peel & Clear® process, discover our new 3D VISION card and give depth to your communication. 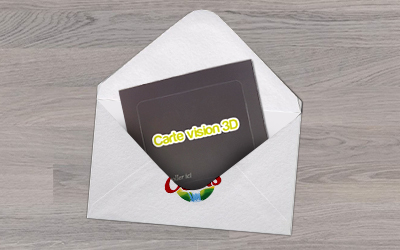 Perfect for greeting cards, birthday or invitation cards, the 3D VISION card is available in several different formats. 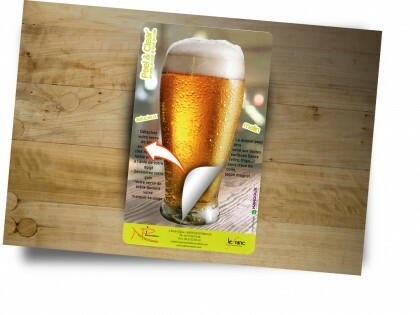 The product comes in a standard 1mm thick card which, when pressure is applied on the right and the left, grows in volume, thus, thanks to the three printed designs, a view in 3D is created. 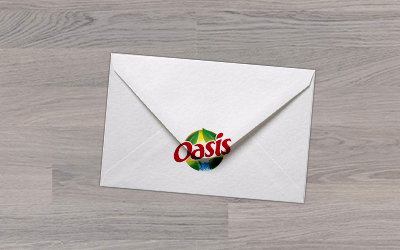 Also discover our ON DEMAND PRINTING service and totally customise from 1 to 500 copies of your 3D cards. 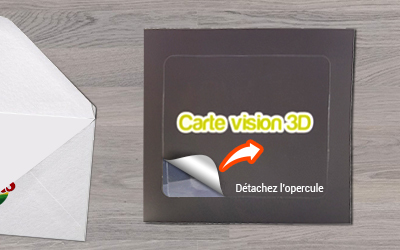 The 3D VISION card is also available in a 2D format, which is more suited to medium and large volumes. 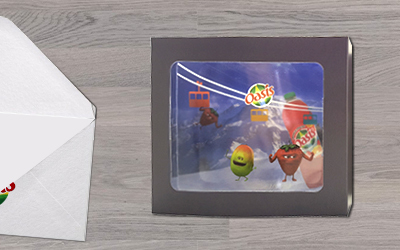 A presentation box of our entire range of Peel & Clear® Gaming is available with examples of each product, without a logo so you can do your customer demonstrations and designs of your campaigns. 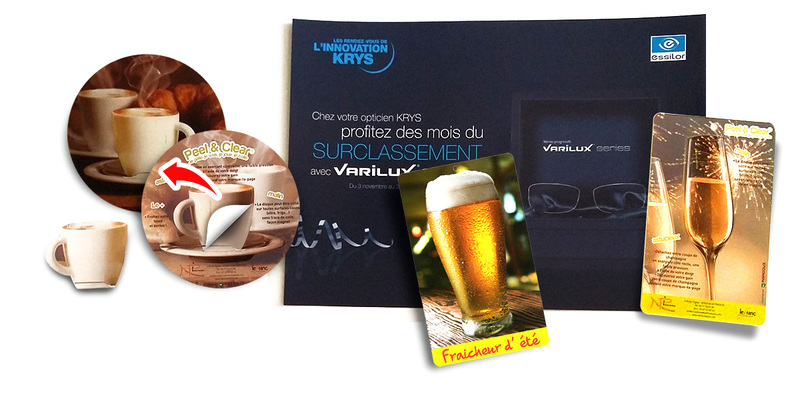 With this presentation box you will receive two complementary boxes containing a multitude of designs. These boxes, which are excellent design and presentation tools, are available on request and will be completed by a detailed presentation done by us. 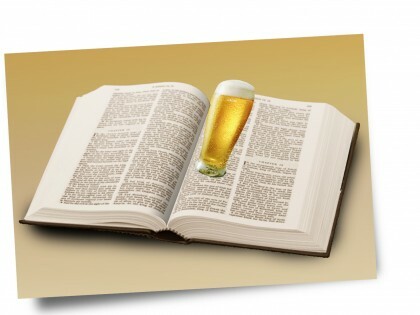 In this all-inclusive offer we accompany you from printing to the website!